I got free pretzels on multiple occasions as well as have gotten a discount on a spare tire on the account. It was my first time buying hair dye and I used my app at Sally's and it was 15% off the entire purchase. I am a pizza fanatic and I save about $10.00 every time I go and get pizza from Papa Murphy's. I saved over $258 on new glasses!!! Within two months I have already saved over $100! Over $27.00 with coupon savings and $80.00 with roadside assistance. Includes payment card fraud resolution, $10,000 in personal identity benefit and identity restoration. Available 24/7 and free to use up to $80 in covered service charges. 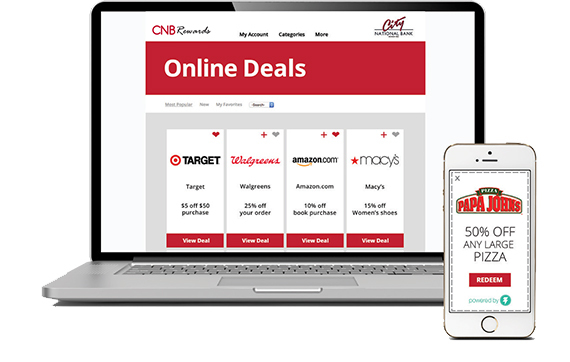 Download CityNET Online Banking & CNB Rewards Today! All product and company names are trademarks™ or registered ® trademarks of their respective holders. 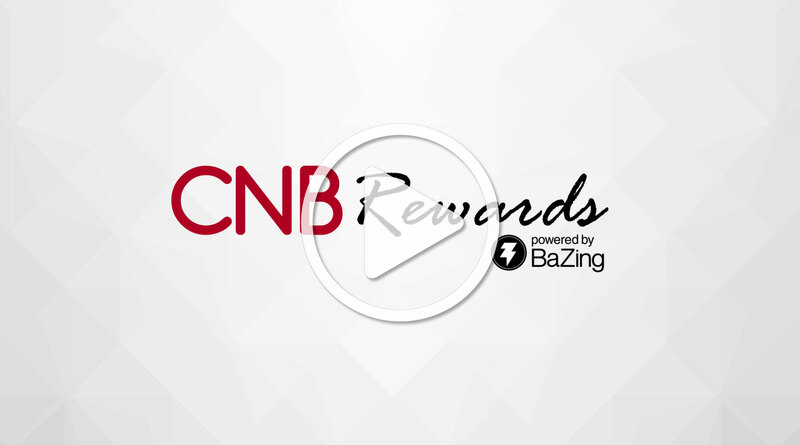 CNB Rewards is available with Elite Checking! Participating merchants on BaZing are not sponsors of the program, are subject to change without notice, may not be available in all regions, and may choose to limit deals. 1. Cell phone protection and personal identity protection are subject to additional terms & conditions. GOVERNMENT AGENCY. NOT GUARANTEED BY THE BANK.